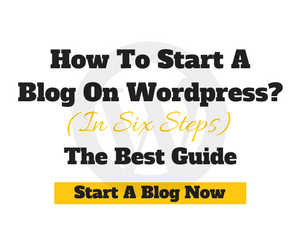 Of course, being one of the most popular website building platforms, WordPress doesn’t let any stone unturned when it comes to keeping the functionality of your website premium and upgraded. However, there is a lot that this platform, as a single entity, cannot do. That’s the reason behind the introduction of Premium WordPress plugins list. Having said that, the number of these plugins is nowhere restricted to a few tens or hundreds. On the contrary, the list is quite long. Therefore, navigating through each one of the plugins and experimenting with it can be laborious and have its own repercussions. To avoid this hassle, here is a list of top twelve unique and amazing WordPress plugins that you can use on your website. Have a look! While developing a website, one of the common mistakes that most users commit is not publishing appropriate legal pages on their websites. While this decision can be ignored in certain situations, in others, not having legal pages can put you and your business in grave troubles. With an intention to save you from these uninvited hassles, WP Legal Pages brings an easy way to create and publish legal pages on the website. It offers more than 25 GDPR complaint templates that can be used to display your legal terms according to your business. Also, these templates are quite easy to edit. All you would have to do is install these pages and edit them however you would want. One of the best things about this plugin is that all the content has been curated by keeping the internet laws in mind; hence, you wouldn’t have to face any problems whatsoever. User engagement is one of the essential things for any business website. Until your visitors aren’t engaged with what you have to offer, conversion becomes a bit difficult. Hence, SurveyFunnel is a plugin that captures the lead and engages your audience seamlessly. Equipped with useful features, this plugin makes you create enchanting and attractive surveys. Along with that, it also lets you gain insightful and valuable data to analyze how your surveys are being responded by your users. And then, you can also integrate MailChimp into this plugin to enhance your mailing list and execute email marketing services to gain more exposure. WPLocalPlus is one of the top WordPress plugins that can be used to create local business directories. Irrespective of your business niche, you can easily form a community of your own and let others join it too. In this way, you can become a reliable and considerable authority within your selected niche, providing updated, profound, and crisp information about relevant local businesses listed on your website. Talking about features, its AutoGenerate creates listings automatically, to save you time and efforts. You can also add the latest deals and discounts in your listing to attract more customers and users. And then, when it comes to providing detailed data, you can add reviews, location, map, website, and more to listings. Who doesn’t wish to display alluring images on the website? Surely, you’d want the same, right? However, most of the times, putting a lot of pictures can slow down the entire website and can have bad results. In such a situation, having a collage turns out to be advantageous. With this CollageMaker plugin, creating attractive and responsive photo collages wouldn’t be a big deal. And then, you can add all of them anywhere on your website. Whether you wish to add a collage in your post or on a page, everything is possible with this plugin. And then, there are several advanced customization options, including using random styles, adjusting dimensions, and more. Amidst innumerable tips and techniques, one of the most effective ways to gather the attention of users would be by giving them something in return. 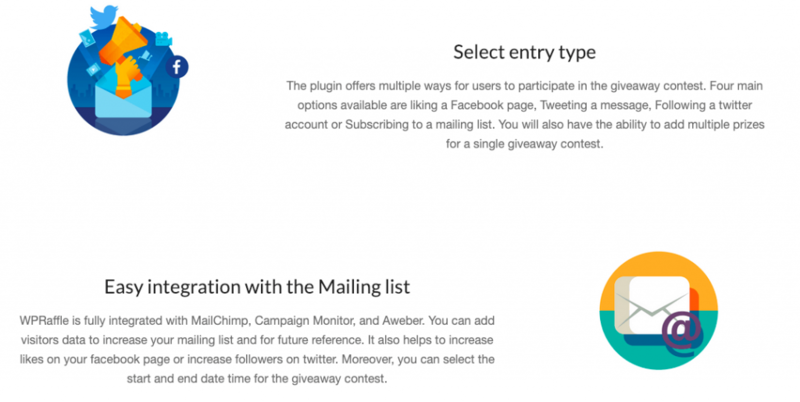 Therefore, WP Raffle is one such plugin that lets you organize raffle and giveaway contests. Not just you can boost your website traffic with this but can also enhance the engagement of social media platforms, including Facebook, Twitter, and more. Furthermore, it can also accelerate your email list for better results. This plugin offers different entry types; hence, instead of following the herd, you can experiment with things to present something new and fresh to your users from time-to-time. Also, this plugin supports mailing software integration, making marketing interesting and effortless. In the list of best WordPress plugins, the stand of this plugin should be a bit higher, owing to the features and abilities that it comprises. If you wish to sell your products online; or would want to make other people sell or buy stuff, this plugin would be the right choice. To make things interesting and easier, WPAuctionSoftware plugin lets you create an eBay style auctioning website. Moreover, you can also organize penny auctions on your website with this plugin and let people bid over the products that you have. And then, its internal invoicing system automatically sends invoices to buyers whenever an item has been purchased. The invoice contains thorough information, including the cost and the terms set by the seller. If you’re organizing ads over your website, one of the laborious things would be to manage them. What if you get a tool that can do everything for you flawlessly? WP AdCenter is here to regulate every aspect of your advertising. If you wish to execute banner advertisements on your website, this plugin lets you create unlimited Ad zones that can be used for the same. Also, you can even create as many campaigns as you want on your website at a time. Further, this plugin provides you with three different methods to place Ad zones on your website, such as shortcode, PHP snippet and dropping a widget. With easy to use and apply methods, organizing, displaying, and managing ads was never so easy before. When navigating through tools to find an amazing one for AdSense, this plugin turns out to be a beneficial one. Considering how Google AdSense has highlighted guidelines to place ads, finding a plugin that would adhere by these rules can be a bit difficult. However, this CTRThemePlus is all you would need for this purpose. With this particular plugin, gaining high click-through rates (CTR) becomes a hassle-free job. Therefore, you can gain more income without spending a lot of efforts. It also comes with its very own Ad management system that allows you to showcase and manage ads with ease. It also comes with a completely featured admin panel that decreases time-consuming whenever you’d need to search for a specific ad. In a majority of cases, Ad blindness seems to be a primary reason behind ads getting unnoticed by users or the website traffic. Fortunately, with this tool, you can combat all such problems. Designed to prevent ad blindness, HeatMap theme pro helps you gain high CTR. If you have a niche site or want to execute AdSense adequately, this SEO-friendly tool would be a perfect choice. One of the best things about it that it wouldn’t require any customized coding or ad plugins installation. With this tool by your side, you can control the ad placement strategy. It offers you 23 different widget to display the ad. And then, it also lets you add links and banners on a precise location for affiliate marketing on the website. The importance of having reliable questions and answers platform cannot be denied, considering the rising curiosity among people regarding every single aspect. Just like Quora, Yahoo Answers, and more; wouldn’t you wish to have a website of your own? If yes, then this plugin is what you would need for adequate execution. With WPAnswers, you get to have different collage themes that can easily complement the basic theme of your website. Not just you can create a question listing page but question forms as well. When it comes to answers, this plugin lets users submit them in three different forms, like text, HTML, and Markdown formats. Once you have approved a user, he/she can answer every kind of question listed on the website. Being the owner of a website, you would understand the importance of Search engine optimization, right? If your web pages are SEO-friendly, ranking higher on different search engines become a breeze. Just for that, here is a plugin to help you achieve your objectives. Although it has a variety of amazing features, however, its Page Analysis one lets you analyze all of your web pages and find out mistakes and glitches that can be optimized to gain more benefits in terms of high rank and organic traffic. Not just you can perform web pages SEO, but this plugin also allows you to optimize your videos; hence, making them within reach of your target audience. If you wish to get famous locally, the Local SEO feature is there for you, too. Last but not the least, having an attractive slider on the homepage or the landing page of the website can make a lot of things possible, be it converting a huge number of visitors or keeping them hooked for a while. With this plugin, you can create relevant and responsive sliders just within a few minutes. On top of that, features that it comprises let you experiment more with this element. Being completely responsive, this plugin also ensures that sliders that you post on the website look the same to each one of your visitors, regardless of the device they are using. You can select from a variety of fonts, arrow styles, navigation styles, and much more along with the visual option controls for your sliders. IF you are planning to buy one or more then one plugin then we suggest to go with WPeka Club Memberhip. The Club currently consist more than 80+ WordPress Plugins and Themes. When you have an abundance of unique and best WordPress plugins list by your side, achieving goals and objectives become seamless. 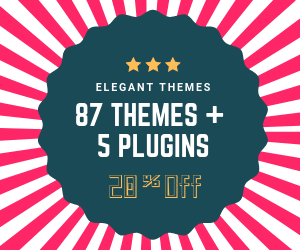 So, if you haven’t had the opportunity to figure out the kind of plugins you require for your site, consider this list and experiment them for your business.